After such a long wait, the Nexus 7 is finally ready to make its Verizon Wireless debut. For the better part of a year now, Google has offered an affordable tablet with cellular radios tucked away inside that the US's largest carrier refused to activate (granted, there were ways to get around this). 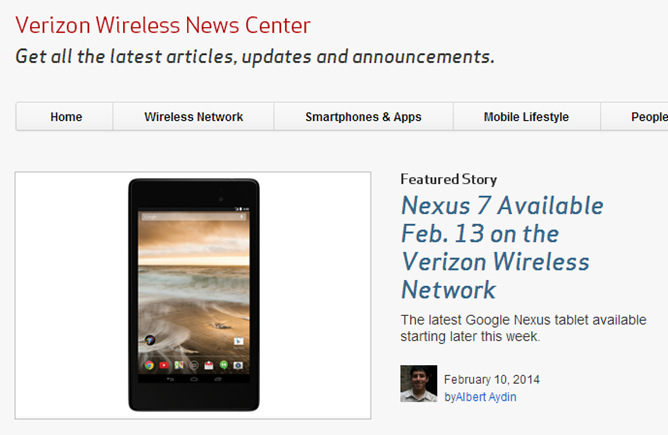 But now, the Big Red and the Nexus 7 are cuddling up just in time for Valentine's Day. 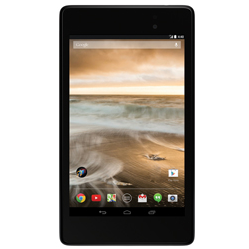 Starting February 13th, people who own the 7-inch tablet will be able to activate it on Verizon's network. For a limited time, customers will have the option to pick up the tablet from Verizon directly for $249.99 with a new two-year activation. After that, the price will rise to $349.99 online and in stores. People with their own Nexus 7 can add the tablet to a Share Everything for an additional $10 a month, as long as they've downloaded the latest Android software update.